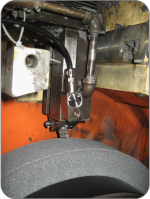 Schmitt offers a variety of best-in-class Acoustic Emission sensors to control gap and crash in grinding process. Below are descriptions of each type. 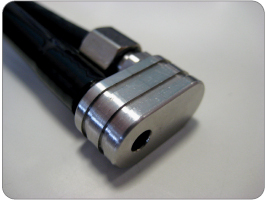 The Fluid AE sensor is ideal for situations where a direct AE contact is required in the grinding process. 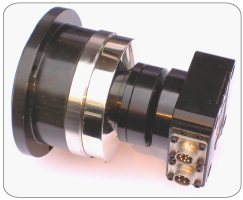 This can be situations where machine design or high frequency bearing, mechanical or electromagnetic noise prevent the use of other types of AE sensor. 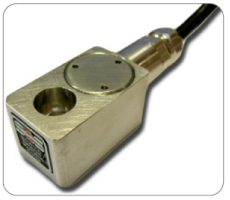 The Fluid AE sensor uses the existing grinding machine coolant which can be water or oil based. 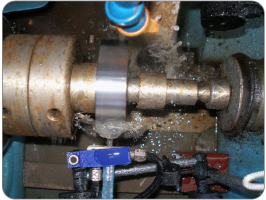 A separate feed from the cutting stream is taken from near the coolant filter and is directed at the component or dresser. 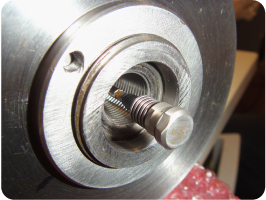 The noise of the grinding wheel touching the component or dresser is then passed back up the coolant stream into the AE sensor where it is detected within 1 millisecond. 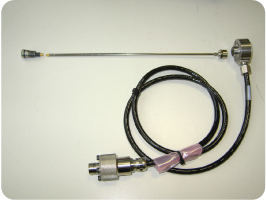 The Fluid AE sensor comes with a polyurethane pipe that can be easily plumbed into the grinding machine coolant supply. 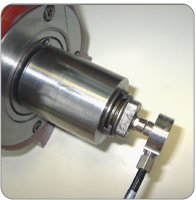 Schmitt’s AE sensor is also available installed inside an external/ flange type –G balance head, or incorporated into an in-spindle type balance head with –G transmitter unit. 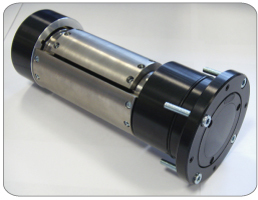 This configuration gives more direct contact with the rotating grinding spindle.